French designer Philippe Starck has teamed up with luxury car brand Bentley to create a smart power dock for the manufacturer’s new Bentayga Hybrid model. 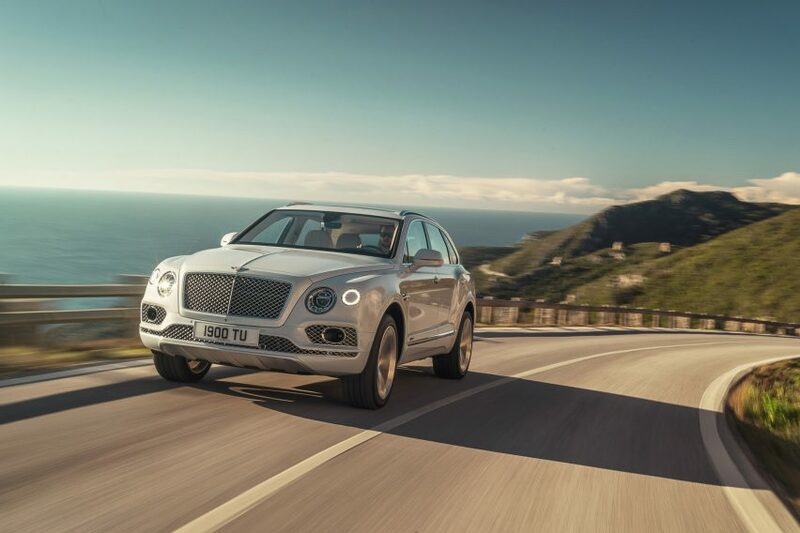 Revealed ahead of this year’s Geneva Motor Show, which takes place from 8 to 18 March, the Starck Power Dock works alongside the Bentayga Hybrid – Bentley’s first hybrid car, which combines an electric motor with a petrol engine. With many major car companies, including Volvo, Jaguar Land Rover and BMW, already in the process of launching all-electric car ranges, the Bentayga Hybrid is Bentley’s first move into sustainable vehicle solutions. 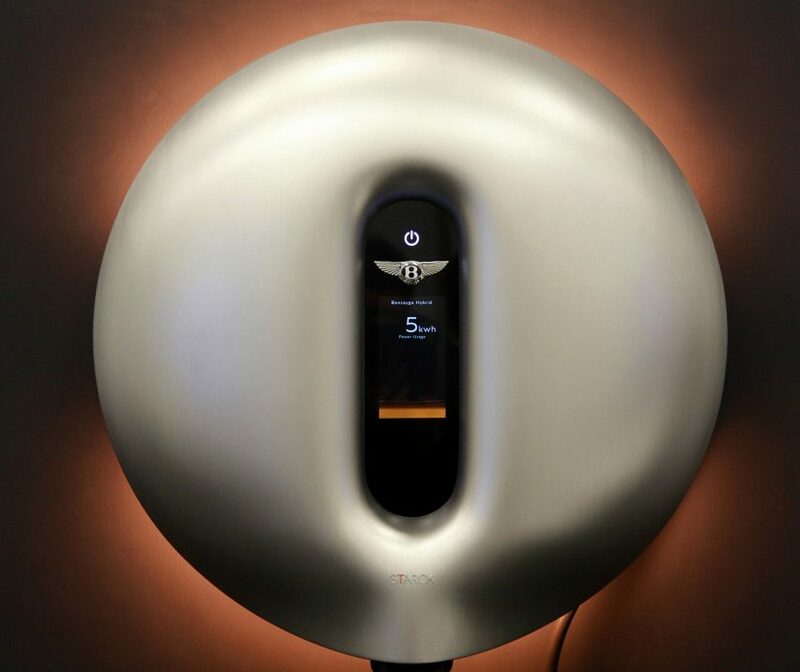 For the occasion, the company enlisted the help of Starck – a Bentley owner himself – to design the car’s power dock. Although creating a high-tech device, the French designer wanted the product to appear as a “modern art piece”. He combined an aluminium domed surface with a narrow rounded display screen made bordered by resin-coated linen. “As always with my designs, I wanted the maximum of intelligence with the minimum of materiality,” he said. ￼￼￼￼￼￼￼￼￼￼￼￼￼￼￼￼￼￼￼￼￼￼￼￼￼￼￼￼￼￼￼￼￼￼￼￼￼￼￼￼￼￼￼￼￼￼￼￼￼￼￼￼￼￼￼￼￼￼￼￼￼￼￼￼￼￼￼￼￼￼￼￼￼￼￼￼According to Bentley, the charging station is able to fully power the car in 2.5 hours. 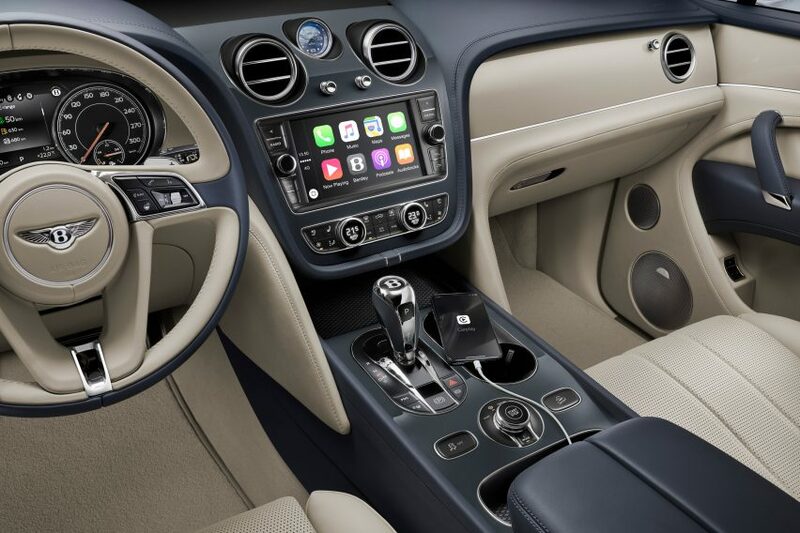 The device also which works in tandem with a smartphone app, allowing users to keep track of the car’s power levels as it is charging. 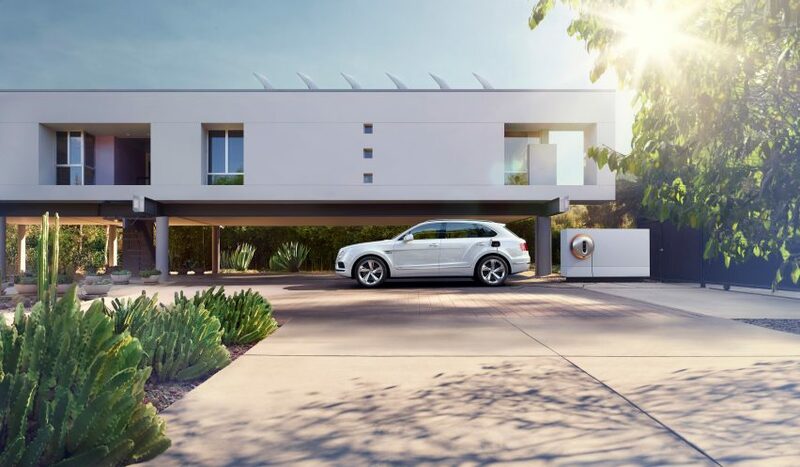 Bentley hopes this will encourage users to charge their vehicle whenever they are home, ensuring that each car journey begins with the maximum capacity of electricity, in turn, decreasing petrol use. “Starck’s Power Dock concept – with its tactile surfaces and inviting aesthetic – will encourage Bentayga Hybrid customers to plug-in whenever they are at home, thus ensuring each journey begins with the maximum electric-only range,” it said. Both the dock and the vehicle will both be unveiled at this year’s Geneva Motor Show, which officially kicks off tomorrow, 8 March. They will be available to order in selected markets in late 2018. Starck is one of the most famous and prolific designers in the world. He is best known for his Louis Ghost chair, Gnome stool and Juicy Salif citrus squeezer. His more recent projects include a design for the medals at the Paris 2024 Olympics and a range of seating for Driade based on historic torture devices.